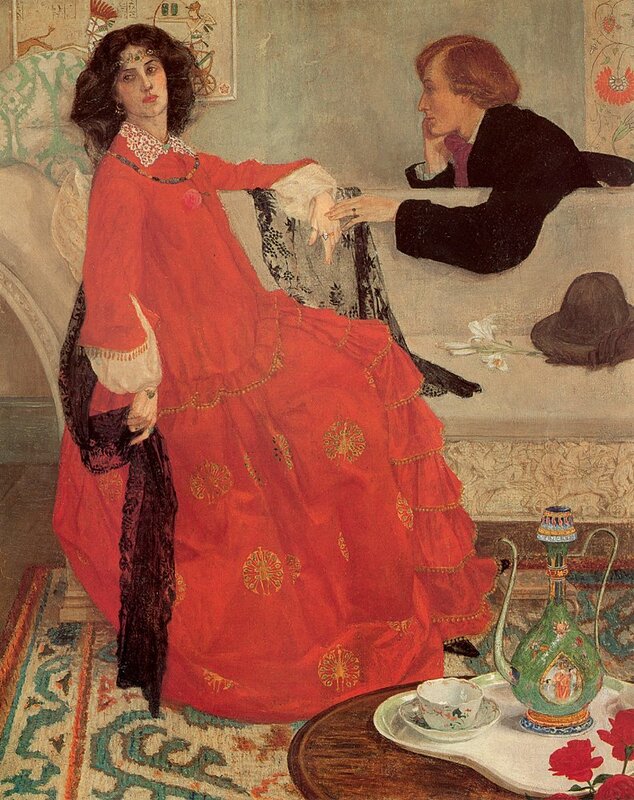 Maxwell Ashby Armfield (1881-1972) was an English painter and illustrator. Raised in Hampshire as a Quaker, he attended the Birmingham School of Art; the school was a major center of the Arts and Crafts Movement which had a significant impact on Armfield. He traveled to Paris to study at the Académie de la Grande Chaumière, and exhibited at the Paris Salon in 1904 before returning to England. 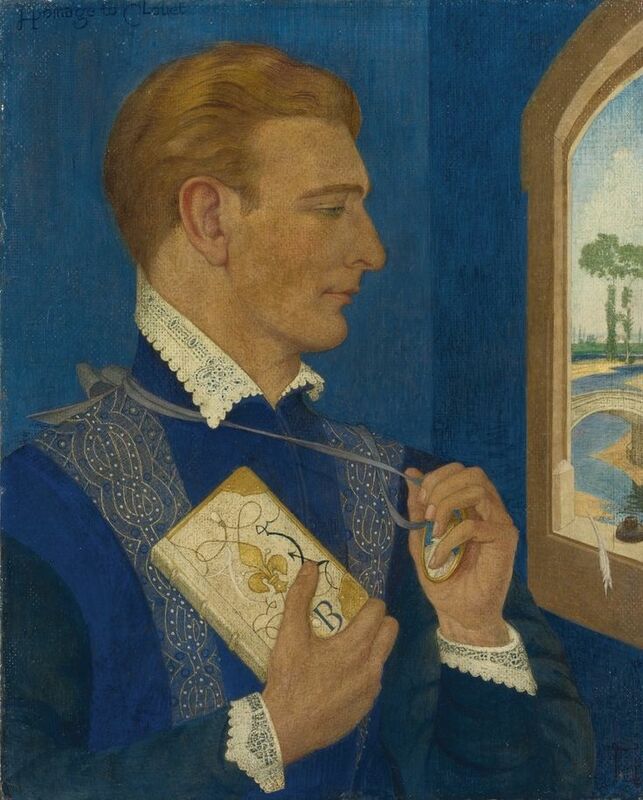 Armfield became an established member of the Arts and Crafts Movement, particularly known for his portraiture. Armfield was very influenced by the early Renaissance (particularly French art of the fifteenth century) and in many ways shares qualities with the Pre-Raphaelites, both stylistically and philosophically. 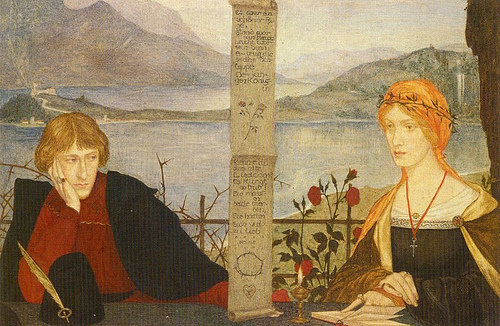 The Arts in Crafts Movement in part grew out of the Pre-Raphaelites, but Armfield has a certain social engagement that is not present in the previous movement. For example, where Pre-Raphalites merely shunned industrial society in favor of natural beauty, Armfield criticized it outright. 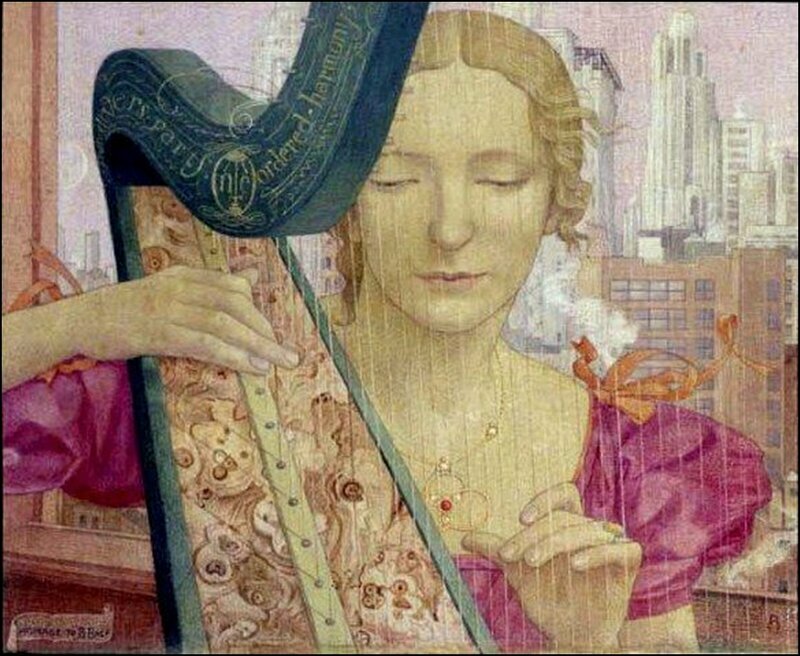 Armfield was also an advocate of democratization of art, and used his illustration to reach a wider audience. His self-portrait is a very complex piece. Armfield frequently worked in tempera, the favored medium of the middle ages and early Renaissance (and the pre-Raphaelites), which helps give the painting its somewhat flattened look. Like many self-portraits, he depicts himself engaged in the activity of art, holding a palette and brush, and looking directly out of the canvas at the viewer. As I have discussed, this trend is in part logistical, for the artist must look in a mirror while working and therefore ends up painting what they see. However, it also gives the painting and intensity, since Armfield meets our gaze. He appears as a rather somber young man, thoroughly dedicated to his work. Behind him we see an intricate background with an elaborate wallpaper pattern. This is a powerful piece that invites us into the private world of the artist and challenges us to meet him, intellectually and emotionally.